We are incredibly excited to announce that Beans On Toast will be heading out on a 16 date UK headline tour in November, culminating in a huge show at Camden’s Electric Ballroom on 11th December 2014. ‘The Next Album Tour’ will come just before the release of Bean On Toast‘s sixth studio album, which will land on his birthday on 1st December as tradition. 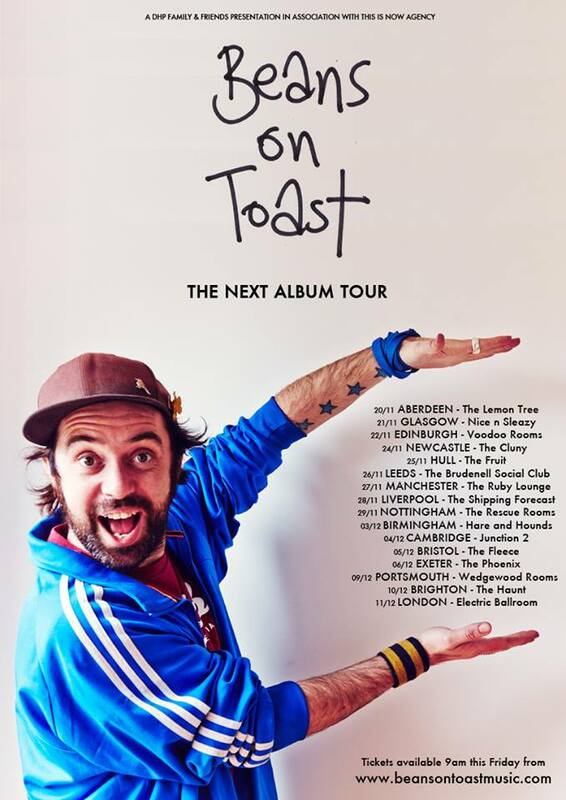 Tickets for ‘The Next Album Tour’ will go on sale Friday 9th May at 9am via www.beansontoastmusic.com. We are delighted to announce that the incredible Frankie Forman is the latest act to sign to This Is Now Agency’s ever growing roster. With soulful and sultry vocals, her debut single ‘Scars On Me’ is to be released on 9th May and will be followed by the impressive five track EP ‘Blue Dogs’ on 19th May. Frankie’s talent blurs the lines between trip-hop and blues, creating a mesmerising and unforgettable live experience. With requests for shows already flooding in and an exclusive video premiere for ‘Scars On Me’ already airing on Rankin’s Hunger TV, the future is looking bright for this hypnotic artist. To watch Frankie Forman’s ‘Scars On Me’ video premiere on Hunger TV click here.